Sixteen years ago, I painted this watercolor of St. Francis Xavier Catholic Church, of Wilmette, Illinois. This was a gift for the New Year's Eve marriage of a young couple - John Anella, (son of our good friends - the Steve Anellas of South Bend) and his fiance, Margie Pelton (her family is very active in this Wilmette church). John and Margie and their five children now live in South Bend. 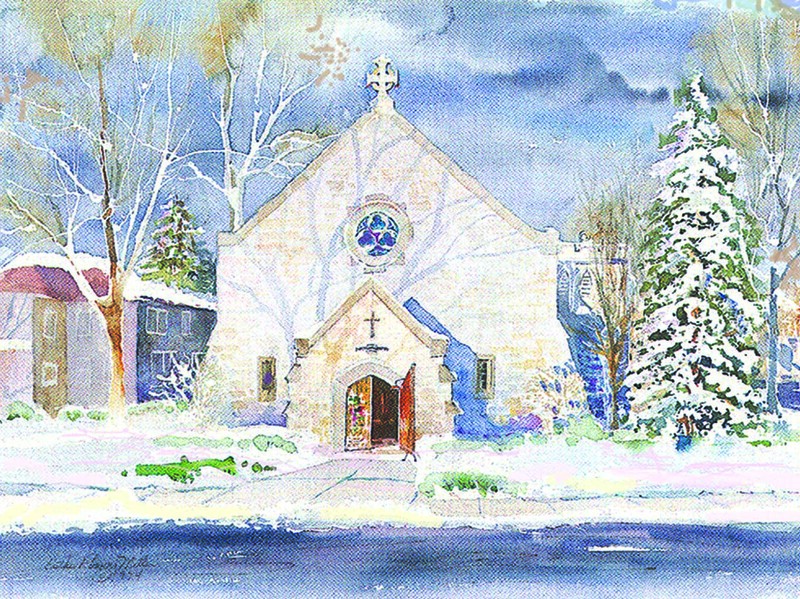 Each New Year's Eve, I think about that wedding, and remember the trip several weeks before the wedding, when Ward and I drove over 100 miles from our home - then in Plymouth - to Wilmette, to search out this church, and photograph so I could use the pictures for reference while working on this painting. It was early December and we were fortunate to find that an early snow had recently fallen blanketing the ground white and leaving a fluffy snow trim on nearby trees and roofs - a simple classic scene. 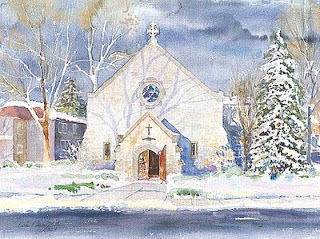 On New Year's day in 1994, carrying the completed watercolor with us, we again drove to this church in Wilmette and found the wintry scene almost identical to our photos. We attended the wedding and Ward and I had fun presenting this painting to the happy couple. The hustle and bustle of the holidays is subsiding, and now we are shifting gears and thinking about the year to come. 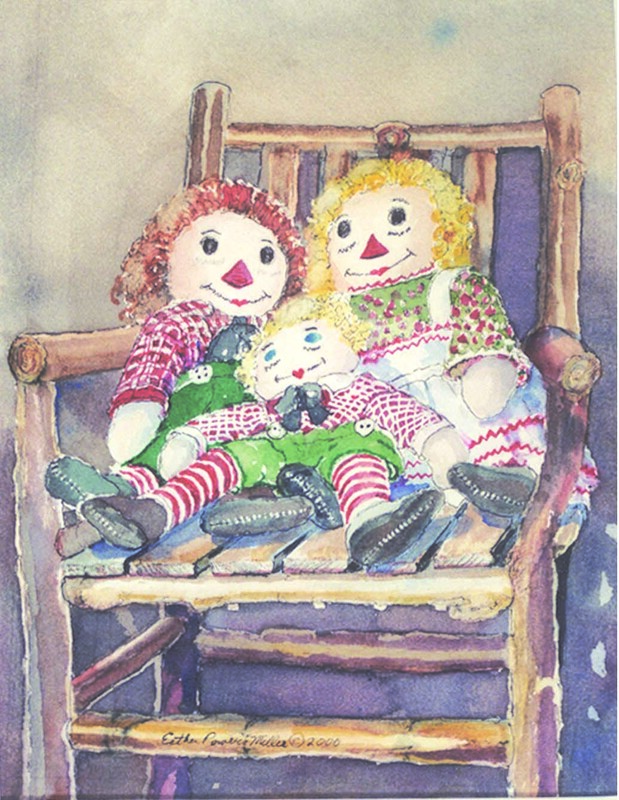 I'm still working on the yearly holiday note card, and when we are ready to mail it, I'll post it here for all to see. 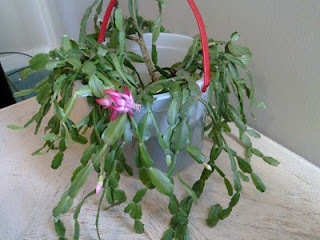 Winter gallery hours: Fridays and Saturdays, from 10 till 5, by appointment, or whenever the open sign is out.